Take this self-developing inspirational quote and use it for your website. This is for a better understanding of what site optimization means for business. It is efficient for any online business which affects the functionality, sales, and visibility of your site. The effect is observed in many beneficial variations. Continuous analysis improves a website’s capability to run business goals. For instance, if you have an e-commerce website, you can boost the number of purchases. Let’s say you are selling shoes online and with optimising, you are setting a trap-net for all shoe-lovers around the world. A conversion rate optimization is the best way to do it. It is focused on continually testing distinctive parts of your site for conversion rate upturn, and fixing factors such as content, keywords, and support texts are the most convenient way to do it. Your site becomes more efficient for your online business. Reducing customer support needs through better information and clarity is one of the prime benefits. Each customer that visits your website looks for a specific solution to their exact question. Optimizing your site makes it easier to accomplish any kind of query or task. 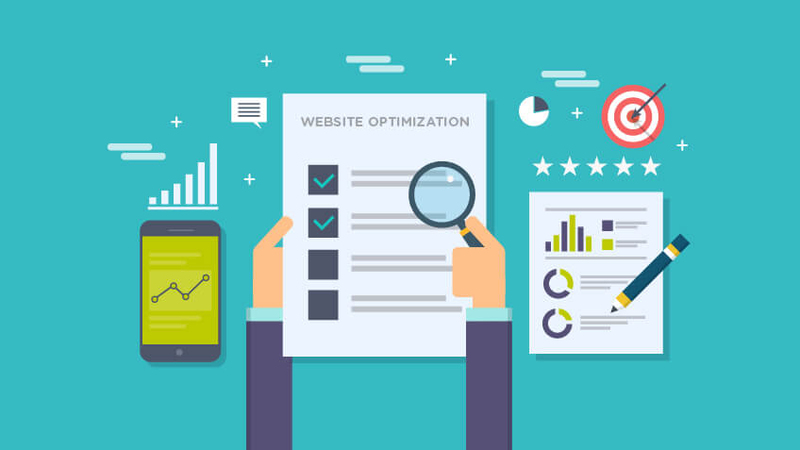 Set clear-cut goals for the website optimization process. Optimizing website falls firmly into the digital category as a number one tool for making your brand online. Here is a tip that will help you in the optimization process. Tip #2 Search paths to earn links to connect with other sites. In this case, your online presence will reflect your optimal branding. First of all, be confident that it works! In the ideal web, optimization converts the higher traffics of visitors into actual customers and leads. If you want to bring more users to your site, it is the best way to accomplish this goal. Contrary to traditional ad campaigns operations, website development works for you. There is no need to make payments to a third company. With the help of optimization tools such as Google algorithms, you are earning traffic not spending a cent. You save a significant amount of money but also time. Online business is a part of the user’s research process. You need your products or services to show up in search engine results. So having a strong online presence will help you to target your audience. Most of them prefer to visit the business’s official websites to learn more. It is a tremendous opportunity not speaking of being the most contemporary tool. Website escalation may require professional help. That means you have to improve the user experience that your site provides. Today the technical factors like mobile-friendliness, usability and site speed play a huge role. Consider the impact of user experience on conversion rates while optimizing your website. This way you can be in the best possible search results for your future customers. A favorable website boost practices should be reflected in its HTML construction — well-researched keywords in text, header, title and meta descriptions tags. The words a person would type into a search engine have to be accurately reflected in your content. Higher ranked multimedia in your sites are essential for software optimization. There are a bunch of website optimization online tools. Each of them specializes on websites qualitative, quantitative or testing needs. Using these tools helps you to be ensured that your webpage meets the standards. Nevertheless, optimizing a website is a challenging and complicated process. It takes planning, time and patience. Most of the time it demands a professional approach. We are happy to assist you to get started with your website escalation strategy with the help of a robust guide and detailing tips. If done correctly it can offer many measurable business benefits. Be willing to invest as many resources as you can in creating the result you look for.